My 65th birthday is barreling down on me. 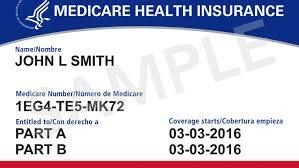 My Medicare Card already takes up space in my wallet, and it will be effective in a matter of days. The approach of this milestone moment makes one rather contemplative: I guess it’s time to act like a grown-up. So many things I’ll miss about my younger self. Making fluffer-nutter sandwiches with Skippy peanut butter (creamy) and Kraft Marshmallow Creme. Going through a whole bag of Jax Cheese Curls in one sitting and wiping off the orange on my jeans. Saying I’ve cleaned my bedroom, but really just pushing stuff under the bed. Doing cartwheels out on the lawn. Whispering commentary to my neighbor at the movies. Drinking Coke floats. Well, I probably will still do all of those things, except the cartwheels. I haven’t done a cartwheel in decades. But the one thing from my younger days that I am happy is over is my habit of developing hopeless crushes. I was nine years old when it all started. I fell for Larkin Dalto, an older man of twelve. (Name has been changed to protect the innocent, who hasn’t seen me in nearly 50 years and wouldn’t recognize me if he did see me.) The Daltos belonged to our small community swim and golf club. Larkin was old enough to play golf with the grown-ups, which he did a lot because he was really good at it. Every day I would sit at the corner of the deep end of the pool, the best vantage point for watching (and hearing) him walk past the shuffleboard area, the spikes of his golf shoes clicking on the cement path leading from the 9th hole to the pro shop. (It was Hollidaysburg, Pennsylvania: our course had only nine holes.) He was nearly as tall as my big brother. He probably grew up to be described as “lanky,” but at twelve he was so skinny he was a stick figure traced over with a raw sienna Crayola crayon, perpetually tan from playing golf every day in the summer. Thick glasses with translucent gray frames sat on a lump of clay for a nose. It was his smile that got me, so twinkling bright it could have been in a toothpaste ad. He was a dreamboat. I yearned to let him know of my devotion and made a plan. During our family vacation out West that summer, I bought him a pen set in a slab of what was advertised as “a Genuine Sample from the Petrified Forest in Arizona.” When we got home I brazenly called him on the phone to announce I had a souvenir, a gift for him. By some miracle, he got on his bike and rode over to our street. Oh, the ecstasy! Larkin Dalto standing by his bike and actually talking to me, the pen set perched on his bike seat. Perched a bit too precariously. Larkin turned to look at my neighbor and bumped the handlebars, sending the pen set to the ground where the base shattered into shards. The pen survived. Larkin picked it up, announced the pen was the important part anyway, put it in his shirt pocket, and rode home. That was the last conversation I remember having with Larkin, although it wasn’t the last of my obsession with him. Summer after summer, I would look for him on the golf course. I even wrote him a letter when he left for school. No reply. My major crush on Larkin didn’t preclude serial minor crushes. For example, the girls’ summer camp I went to in the Adirondacks had a boys’ counterpart camp right across the dusty lane. Two dances took place every summer. And every summer there would be some cool guy with slicked back hair and lips made for dangling a cigarette, a teen-age Clark Gable in madras shorts. Sporting my pert pixie haircut and wearing my cotton shirt with the Peter Pan collar, I would cross the dining hall floor to ask him to dance. And he would hand me off to the tubby acned boy beside him. I could rattle off at least a half dozen other such examples right up until I was in college. Good thing I’ve put away childish things. One always has to have crushes! What fun would life be without? Such a great post! Oh, I remember those crushes well, back in the day. None of them ever ended up the way I wanted.